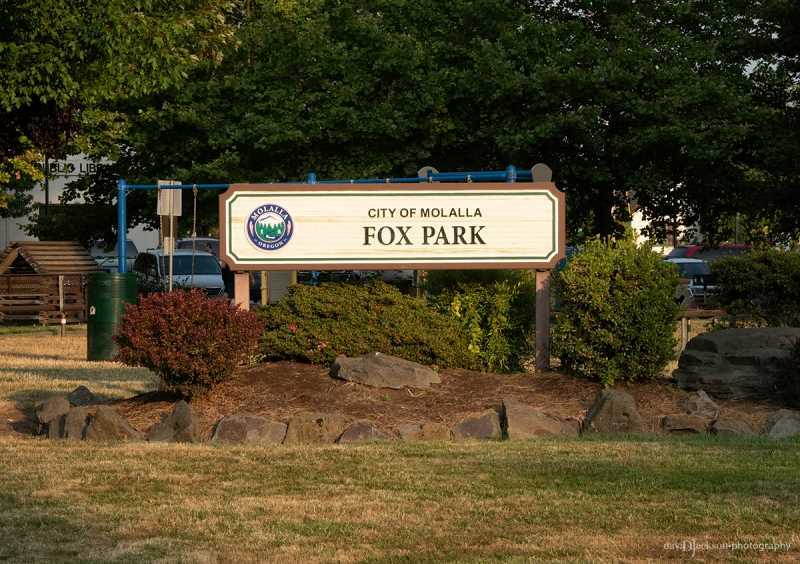 City Manager Dan Huff suggested that it might be time for Molalla to develop a statement of user responsibilities when using specific parts of parks. This doesn't mean users will be required to pay to use the Splash Pad or activity equipment, but to pay to use the Pavilion at Fox Park or the large tent or the Gazebo at Long Park, for examples. It appeared from the discussion that council members liked the idea of reserving parks and amenities and paying a specific amount to use them because right now the city isn't getting anything, despite ensuring they are clean and well cared for. But they questioned if the fee should be higher for those outside of Molalla who don't pay the city's property tax and lower for non-profits. During the animated discussion, "People are using our parks; that's a good thing. We have a lot of nice parks and people like to use them," said Huff. "Recently, over the past few years, we've seen an increase in park-use applications. We're constantly receiving park-use applications. Fox Park is the largest user with pavilions for retirement and birthday parties," Huff said. There was a case where two competing youth teams asked for a field to use at the same time. One was a long time program, Molalla youth sports program, the other a new one—asking for the same field on the same day at same time frame. That had to be worked out. "We mow, dump garbage, clean the bathrooms and provide the paper for them as well as electricity and we don't have a revenue source, but use the general fund," said Huff. So in order to check this out, city staff took a quick poll of other cities, Canby, Silverton and Independence and looked at their park utility fees and how they worked. While the city does charge for big ticket items, such as the large tent, because it takes time and four people to get it ready. Some city parks that were free have changed their policies. Hubbard used to be free, but last year instituted a fee, according to Council member Jody Newland. But other amenities, like the Splash Pad and the swings would continue to be open to all. Or if people decided to have a picnic and there was a free table they could use it. But Huff's staff ideas are different. Using $50 for an example, people would reserve and rent the Fox Park Pavilion for a 4-hour period, using placards to ensure the people have rented the space and it belongs to them for that period. The discussion would remain just that, although there was a 4-3 vote that would allow Molalla area residents, like Mulino and other nearly areas would pay the same as those living in Molalla. A second vote allows a discount for non-profits. Once, staff has ironed out the fees and rules, it will come back to the city council.